1. [+194 -14] YoonA and Ji Chang Wook’s chemistry is no need to say…. to the writer, please please please please dont ruin the story. Get back to your senses in writing properly! On Yongpal’s feedback, I believe you’ll know now what’s best more than anyone. Please dont let the actors be blamed. K2 hit full daebak in the country !!!!!!!!!!!!!!!!!!!!!!!!!!!!!!!!!! I’ll watch the first broadcast! 8. [+77 -10] It seems that their chemistry will be good. Looking forward to it!!! 9. [+57 -3] YoonA, always do your best in accomplishing the job this time. I believe you’ll do very well ㅎㅎ Im YoonA hwaiting!! 10. [+54 -4] wa daebak! I can see now how it’s gonna be ㅜ ㅜ I’ll watch the first broadcast! 13. [+48 -4] daebak.. looking forward to it!!! 20. [+33 -1] Looking forward of unnie and Ji Chang Wook’s chemistry, always take care of your health and fighting!!! DramaFever has licensed this drama for us! Remember when we did this story on YoonA considering, then rejecting, then reconsidering the leading lady role in the upcoming tvN drama K2? Well, turns out the deal has finally been struck and YoonA has confirmed that she will be a part of the drama! On August 10, tvN and her agency SM Entertainment confirmed that she will be appearing as the female lead in the drama, stating "YoonA recently confirmed she will appear...". Starring opposite Ji Chang Wook, the drama centers around a bodyguard and a woman who both experience betrayal and are out for revenge. According to her reps, "YoonA will show a new image through a character that is different from what she's usually shown." The woman, Anna Ko, who will be played by YoonA, is described as a solitary character who has a fear of people and suffers with panic when exposed to flashing lights. She is the hidden offspring of a presidential candidate and former celebrity. The bodyguard will use her to get revenge against the people who were unfaithful to him. 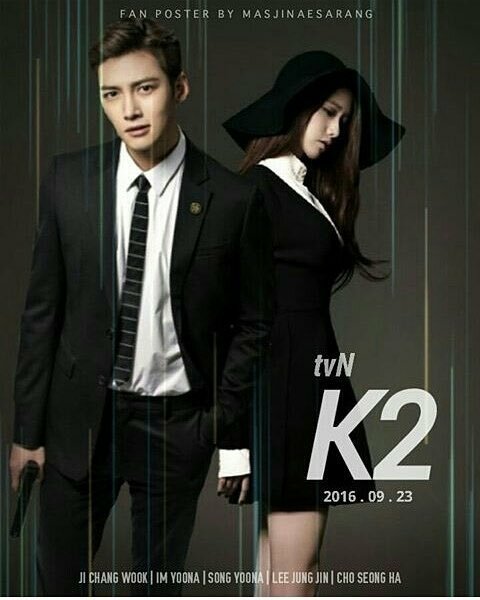 K2 will be premiering exclusively on DramaFever on September 9. Add it to your queue now! Everyone, please click on "awesome" button and make sure to thank DramaFever for bringing us the drama. Also please add a comment in support of the drama on the article and in the the drama page. Girls’ Generation member YoonA has been confirmed for tvN’s upcoming drama “K2” (working title). SM Entertainment announced the news, saying, “Plans for YoonA to star in ‘K2’ have been confirmed. This will be her first Korean drama in a while.” Cable network tvN also confirmed YoonA’s role as the main female lead alongside Ji Chang Wook. 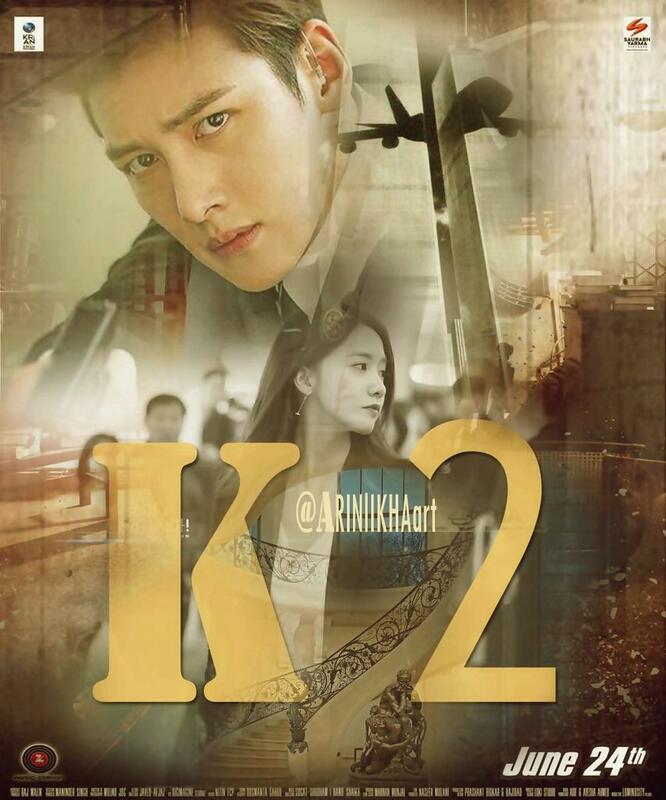 “K2” is a love story about a government official (played by Ji Chang Wook), who is betrayed by his country, and a presidential candidate’s hidden daughter (played by YoonA). JI CHANG WOOK AND YOONA !!!! BODYGUARD WITH THE SECRET DAUGHTER !!!! 7. [+72, -4] Yoona always does her best in every role, I trust that she'll do well this time tooㅎㅎ Fighting Im Yoona!! 1. It's been confirmed that the first episode will air 23rd September! Press conference will be 21st September. when I first saw the news of Yoona re considering I was really exciated .. Wanted the news to be true .. I dont know why she is being bashed everywhere .. They would make a good couple just give them a chance to be appear on your screen together !! Oh mu gosh.. can I just say.. I'm excited for this! Prettyness all over. Please.. make the script high quality and the story too! I'm mainly watching for the story. I do like JCW but it's nothing like I'm fanatic but I like him. 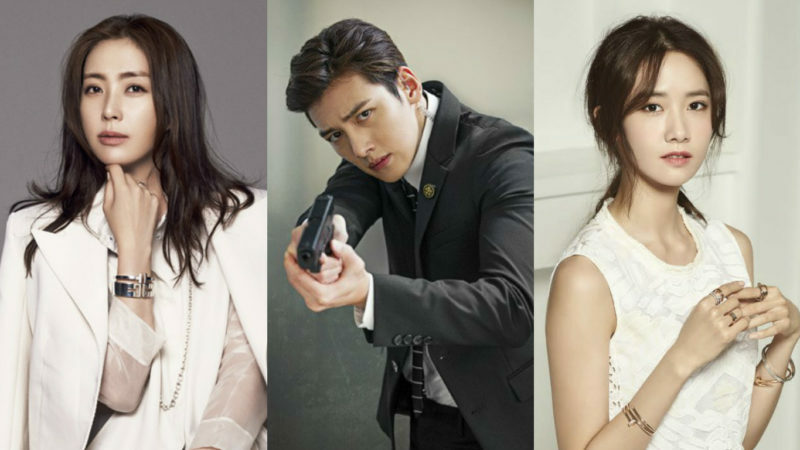 The upcoming drama “The K2,” starring Ji Chang Wook, Song Yoon Ah, and Girls’ Generation’s YoonA, has officially started preproduction. “The K2” is an action drama about a bodyguard who was once a war soldier referred to as K2, the wife of the presidential candidate who hired him, and a girl who lives in her own secluded world. Ji Chang Wook will play Kim Je Ha, a former war soldier who is the JSS special bodyguard. Choi Yoo Jin (Song Yoon Ah) takes notice and hires him to be a bodyguard. For this drama, Ji Chang Wook will perform some advanced stunts and show off his charisma. Girls’ Generation’s YoonA will play a lonely girl named Go Ahn Na, who suffers from panic disorders. She is also the hidden daughter of the presidential candidate Jang Se Joon (Jo Sung Ha) and will play an important role regarding Kim Je Ha and Choi Yoo Jin’s relationship. Song Yoon Ah’s character, Choi Yoo Jin, is the wife of the winning presidential candidate and is the oldest sibling in her family in charge of JB group. She is known to the public for being friendly, beautiful, and loving, but in reality she is a merciless woman who won’t let anything get in her way of achieving her dreams. “The K2” will start airing on September 23. Wow... Only one month to prepare? Please dont end up in live shooting .. I adore JCW in Healer. In K2 as a bodyguard? Count me in! According to Asianwiki, Son Tae Young was added to the cast as Yoona's character's mother. She will probably die when Yoona's character is a child. The capture below is from Lady Action. No need to be upset, let them be. Constructive criticism is fine, everyone is entitled to their opinion . I'm completely fine with people criticising Yoona's acting, it's their opinion. So long as they don't cross the line and say what her haters usually say "plain faced""ugly", as that isn't 'constructive criticism'. Or worse, they better not mock/insult Yoona for growing up without a mother. I find it funny that 2 of Yoona's celebrity friends are starring in this drama with her. Son Taeyoung & Song Yoona. Yoona starred in Cinderella Man with Son Taeyoung's famous husband, Kwon Sangwoo. The three (Yoona, Son Taeyoung & Kwon Sangwoo) are still close friends even though it's been over 7 years since that drama aired. I remember reading that she went to their house for dinner 1-2 years ago. Yes, she is gorgeous. Yes, her and famous husband Kwon Sang-Woo have a lovely family. Here they are on a family outing, with their two children. I liked her quite a bit in her last drama "Into the Flames." It was a riveting story based on real events, the emergence of steel industry in Korea, which lead to Korea's industrialization. I had no idea she was friends with both Son Tae-Young and Song-Yoon-A! We will probably get some nice BTS coming up. About casts, honestly I never watch their drama. Haha... I did watch Ji Chang Wook in Healer but dropped it, the same thing went to Assembly (Song Yoona) and Local Hero (Jo Sungha). And Yoona, not even once I ever saw her in drama. But its okay, I am kind of person who watching a drama based on the story, not the casts or rating. 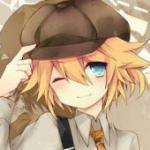 The story premise about thriller, mystery, action and revenge is my cup of tea. Adding a bit of romance is not bad at all. But, only one month to prepare? Its kinda weird for TVN drama. They usually has done shooting for half of the drama before airing it. I just hope they dont end up live shooting. Is it action series, right? It will be hard to do live shooting. See you Sept 23 my friends... Keep update this thread, okay! Hello everyone my first post here. Hi @Mayyes . Welcome to the K2 thread. Sounds like you will be starting in a clean slate with the cast members. That's a good start! ah... Finally an article that tells us a bit more of each of the "players" in the drama! tvN is coming out with a bodyguard action movie. "K2" is an action drama about a former mercenary bodyguard named K2, the wife of a presidential candidate who hired him and a girl who lives apart from this world. The drama is directed by Kwak Jeong-hwan and written by Hyeok Rin. In the role of Kim Je-ha, a former mercenary and JSS special agent is played by Ji Chang-wook. This man has a secret and is one day chosen by Choi Yoo-jin (Song Yoon-ah) to be her husband's bodyguard. He performs a lot of action scenes and even falls in love with Ko Anna, an outcast with a panic disorder. Song Yoon-ah plays Choi Yoo-jin, the wife of a likely presidential candidate and the eldest of the JB Group family. She's friendly with the ordinary people, she is elegant and wise on the outside, but she's a cruel character who will do anything to get what she wants. Song Yoon-ah undergoes a transformation as a charismatic, elegant lady. Yoon Ah takes on the role of presidential candidate Jang Se-joon's (Jo Seong-ha) hidden daughter Ko Anna. She lives as an outcast as she blames herself for her mother's death and one day comes back out into the world but Choi Yoo-jin suppresses her. She opens up to Kim Je-ha and overcomes her childhood agony. Jo Seong-ah plays Jang Se-joon, Choi Yoo-jin's husband. Kim Gap-soo plays Park Gwan-soo, Jang Se-joon's rival and Lee Jeong-jin takes on the role of Choi Seong-won, the chairman of JB Group and Choi Yoo-jin's step-brother. Son Tae-yeong appears as Ko Anna's mother. Excited for K2! at least there's an action drama because.. upcoming kdramas for the last quarter have either love relationships and revenge plots and either historical or fantasy or comedy. Kdrama sorely lacking action crime thriller (procedural) drama. After MM and MBB (waiting for next OCN drama too), I'm craving action thriller. It's okay with touch of romance as in this one. Thanks tvn! network of the year I say ha ha. Just please make the story awesome and the writing and editing too. 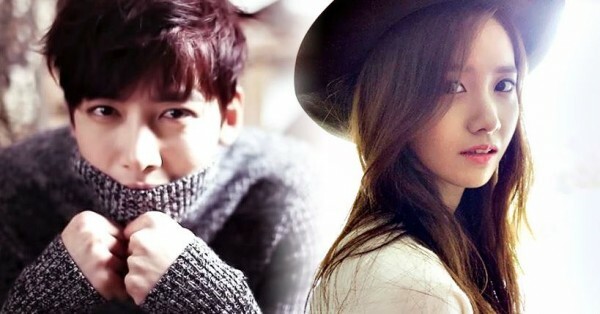 Ji Chang Wook and Yoona confirmed to make drama comeback! Girls' Generation's Yoona and actor Ji Chang Wook make drama comeback with a TvN's upcoming TV series. 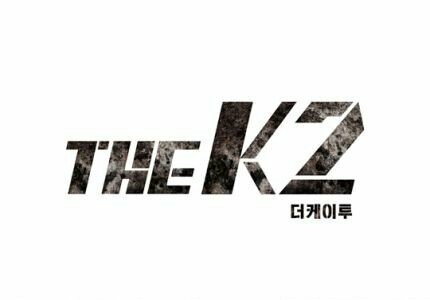 This drama has just confirmed its title 'The K2,' and its first episode broadcast date. 'The K2' is an action drama, which portrays the story of a man named 'Kim Jae Ha(Ji Chang Wook),' who used to be a solider during war time. He became a bodyguard of a daughter of presidential candidate 'Jang Se Joon(Jo Sung Ha),' Go Anh Na (Yoona). The first episode of 'The K2' will be broadcast on September 23.